Great to be able to work in a community orientated space . 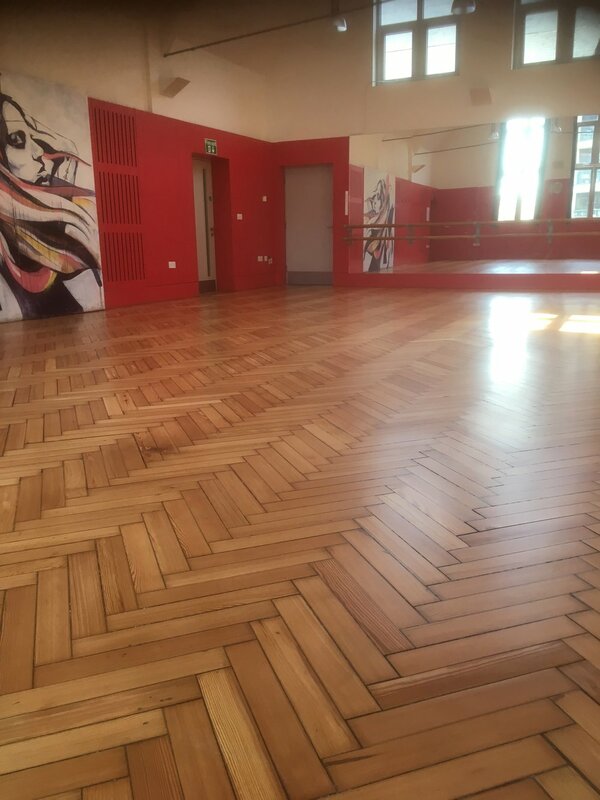 This beautiful Douglas Fir parquet floor needed a decent amount of work to bring it back to it’s original beauty! Careful sanding and then finished with Bona Traffic HD . Probably the best floor lacquer in the world.